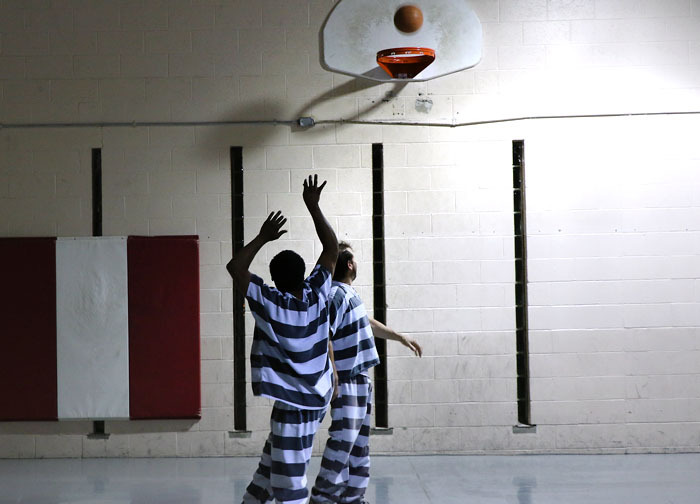 Inmates at the Washington County Jail play basketball during re time. Inmates are allowed one hour or recreation time a day. Every time I think about my night at the Washington County Jail, the lyric and tune from the old 1959 Kingston Trio ‘Tijuana Jail’ tune keeps playing in my head. The song is quaint, and in some ways, so is the local lock-up. But that isn’t necessarily a good thing. The purpose of the visit by Online/Citizen editor Leeanna Ellis and myself was to document a typical night at the facility. A two part series written by Ellis and photos by Joe Burns ran in the December 12 and December Washington County Enterprise newspapers. While the17-bed facility was state-of -the-art when it was built in 1977, a lot has changed in 40 years. The latest State of Nebraska Jail Standards Inspection Report Confirms that. The report, which was completed in August lists nine standards the facility is not meeting and therefore puts the jail out of compliance with jail standards program. The editorial in the December 19 Enterprise takes the position that the time has come to move forward on a plan to address the jail situation because the current facility is putting jail staff at a safety risk. 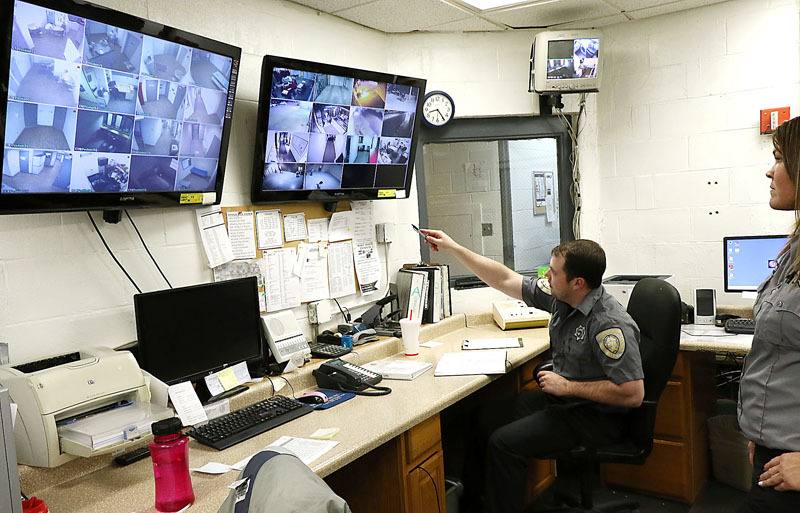 Washington County Jail Corrections officer Ross Jones points pout some suspicious behavior by two inmates in the rec room on a recent Saturday night. 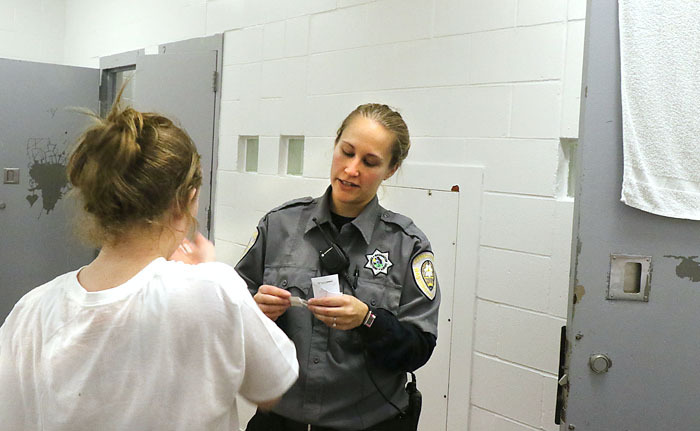 Washington County Jail corrections officer Jenny Meyer searches a cell Saturday Night while officer Shawna Brown watches. 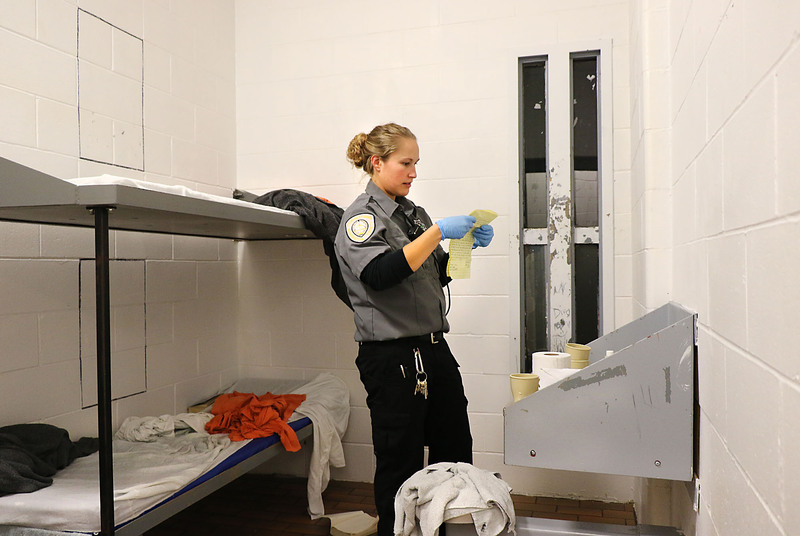 Washington County Jail corrections officer Shawna Brown searches a cell Saturday night during a cell search Saturday night while inmates are at rec time. Officers search the cell blocks periodically in a two week period. Saturday night during a cell search Saturday night while inmates are at rec time. 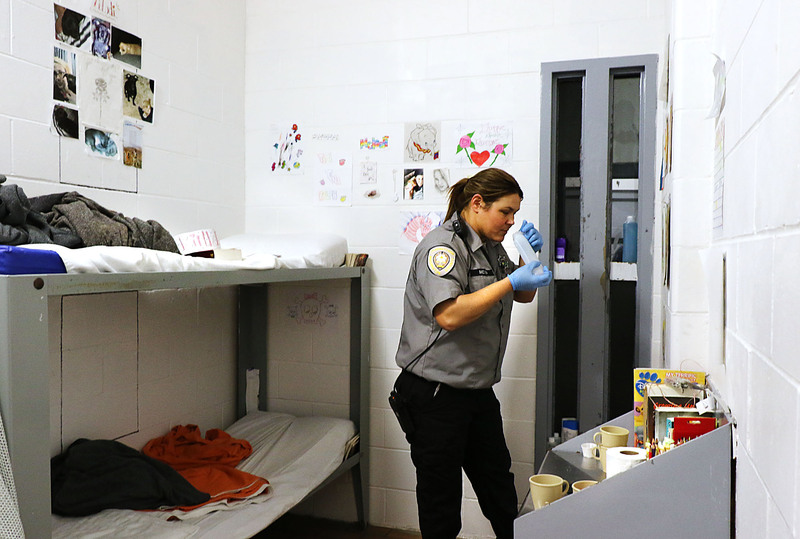 Officers search the cell blocks periodically in a two week period. 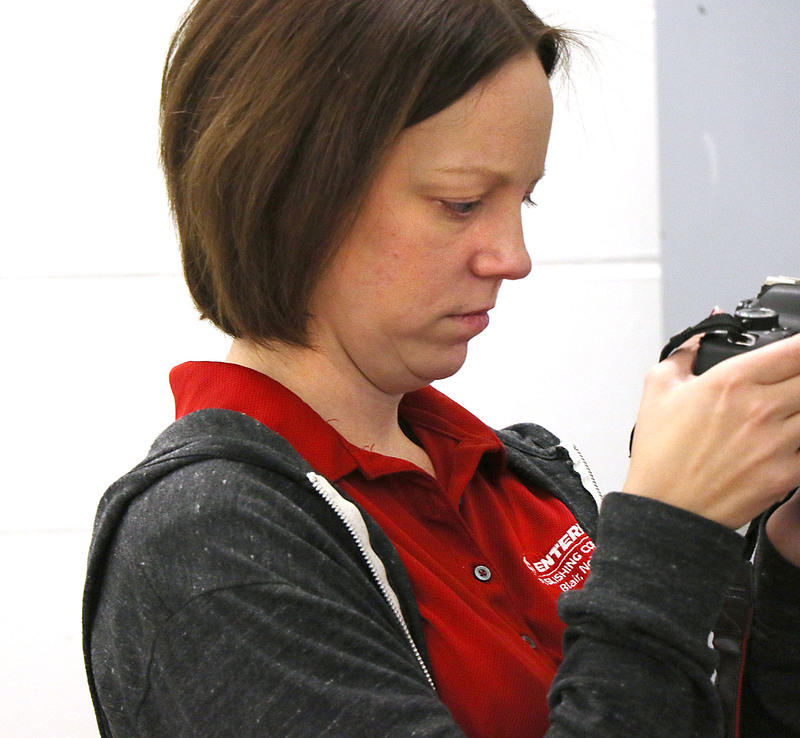 Online and Arlington Citizen Editor Leeanna Ellis videos a cell search by Washington County Jail corrections officers Shawna Brown and Jenny Meyer. 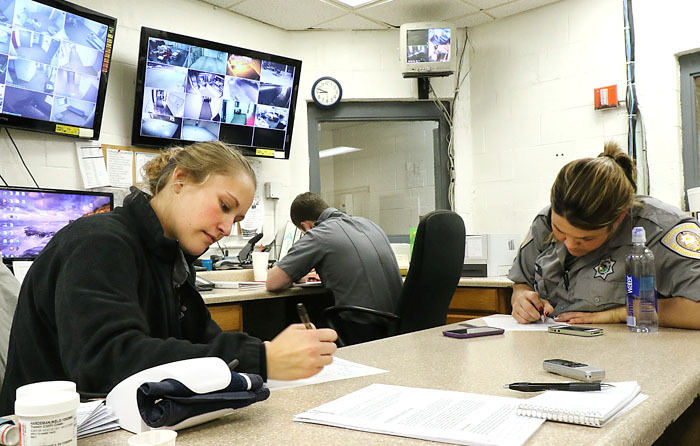 Washington County Jail corrections officers Shawna Brown, left, and Jenny Meyer fill out paperwork after completing a cell search. All searches must be documented, including any contraband that was found. 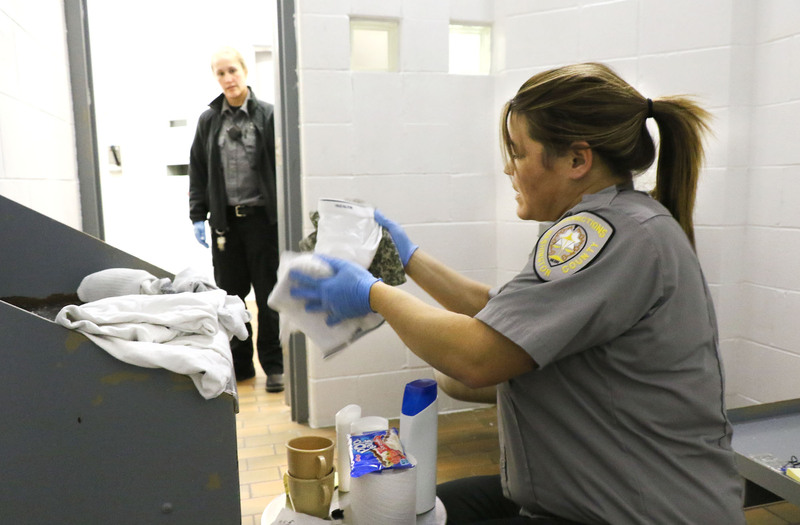 Washington County Jail corrections officer Shawna Brown dispenses medicine to female inmates in Block A.
Washington County Jail trustees select items from the food pantry to stock in the kitchen Saturday night.